Still not sure what to get for that member of your family who seems to have everything? Needing a small gift for the outdoorsy one who seems to have all the gear? No problem! No need to worry! Christmas gifts can be tricky, especially if you bought them socks last year. 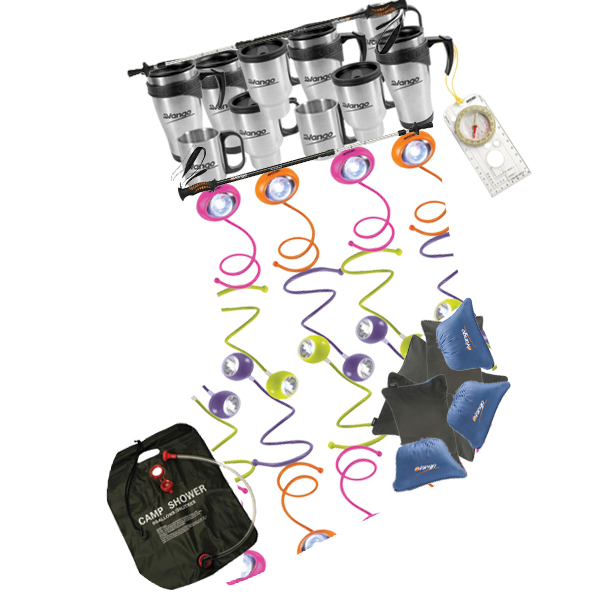 However Vango have a great range of products and accessories that are perfect for stocking fillers. Now a Headtorch is a great Christmas present for everyone even if they don’t know it, it’s like the first time you used hands free for your phone! Your sister will be able to have her hands free whilst putting the kids to bed on their family camping holiday. Or treat yourself, so that next time you go camping you’re able to tuck up in your sleeping bag without having to hold a torch in your mouth! That little bit of luxury for your brother who loves trekking all over the world. The lightweight compact travel pillow is designed to fold into its own integral stuff sac making it easy to carry and transport. It’s not the first thing that you may think of, however, if your family love the outdoors then it’s a great stocking filler for anyone, from your mum and dad to your kids. These two little things can help you to prepare for your next holiday camping, wherever it may be. If your mum or dad love exploring the fells, a walking pole is a great addition to their rambling gear. Walking poles are great for your health as they reduce the impact on your legs, knees, ankles and feet. They can also increase your average speed whether you’re walking on flat ground or steep inclines like Scafell Pike. This quirky indulgent home comfort could make your cousins gap year travelling that bit less smelly, and a little more fun. The Vango Solar Shower is portable, packable and lightweight. Holding 20 Litres of water which can is heated by the sun’s rays, this is the perfect present for those who want to stay clean on the move. The fun, colourful and extremely flexible Eye Light has an amazing bendable 40cm arm, it can be attached to almost anything and rotates 360° in any direction. Great for any stocking the Eye Light is a handy gadget for after dark, both in the home and on the campsite.